I’m so darn excited! Going to see it tonight, of course. I even have a collectible Simpson’s Movie t-shirt to wear. A bit dorky, yes, but at least I’m not waiting in line for days to buy my ticket or dressing up in full Simpson’s regalia. It’s Official! The Simpsons Live In Vermont! 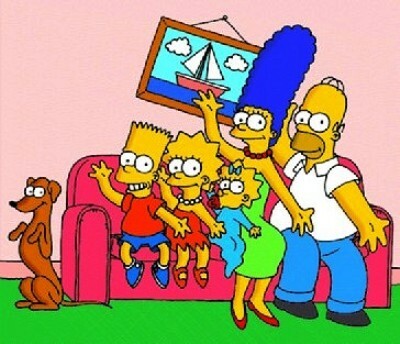 In 1997 The Simpsons became the longest running animated show in prime time, breaking the record set by The Flinstones. Matt Groening, the show’s creator, based Bart’s character on Dennis the Menace. Bart Simpson’s full name is Bartholomew Jojo Simpson. Countless celebrities have leant themselves, their image, and their voice to episodes of The Simpsons, including Drew Barrymore, Michael Jackson, Kelsey Grammer, Willie Nelson, Blink 182 and The Ramones. Many of the characters on The Simpsons have last names named after streets in Portland, Oregon. The Simpsons celebrated their 350th episode on May 1, 2005.
previous post: Nicole Richie Is Drunk – Play The Drunken Nicole Game. 48 queries in 1.493 seconds.